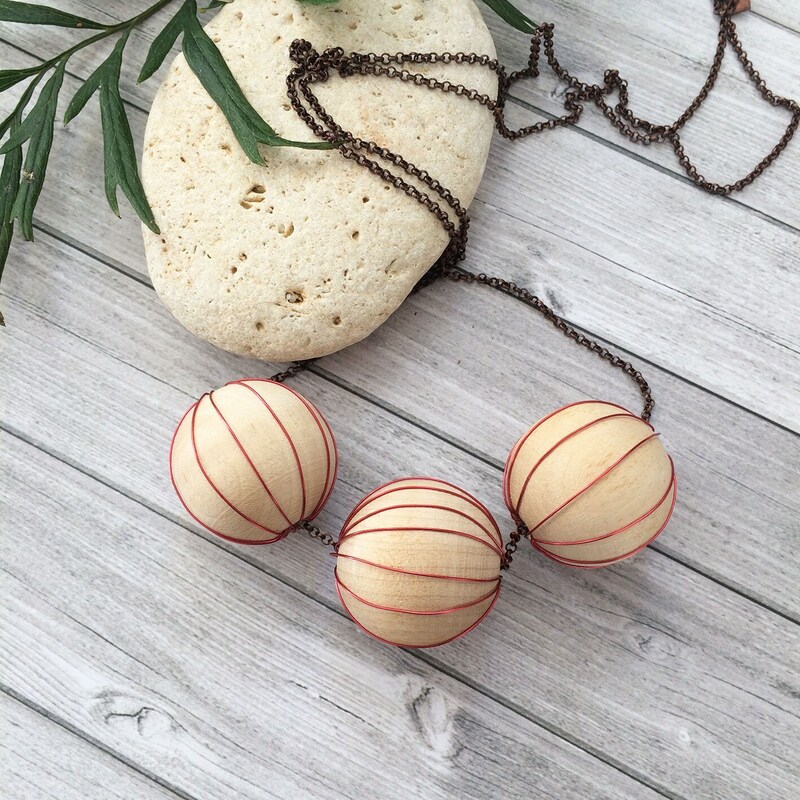 How such a simple necklace can do so much for a costume. 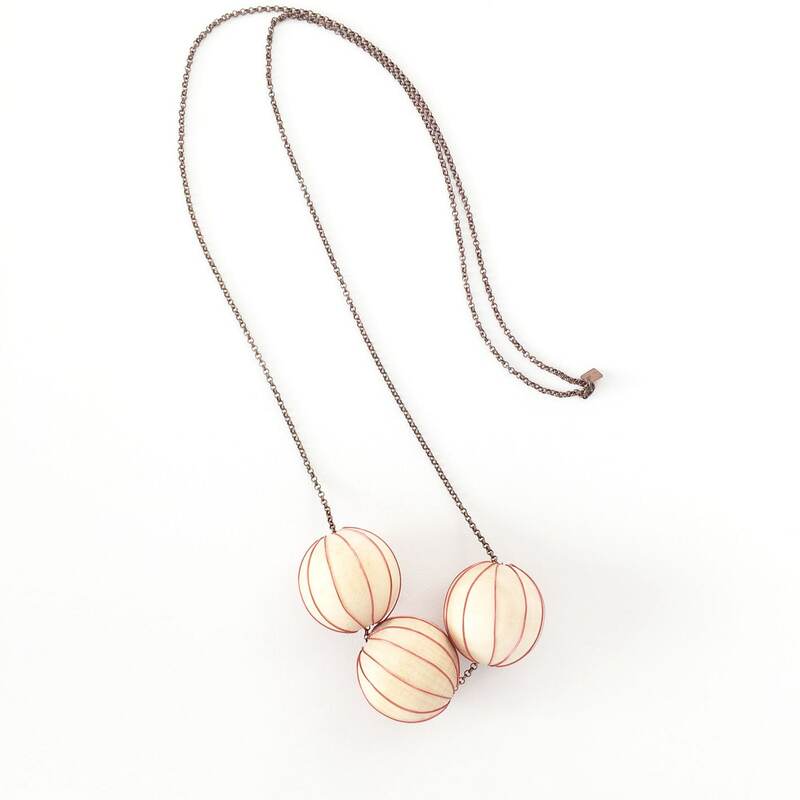 Ideal for matching earth tones and light colors. 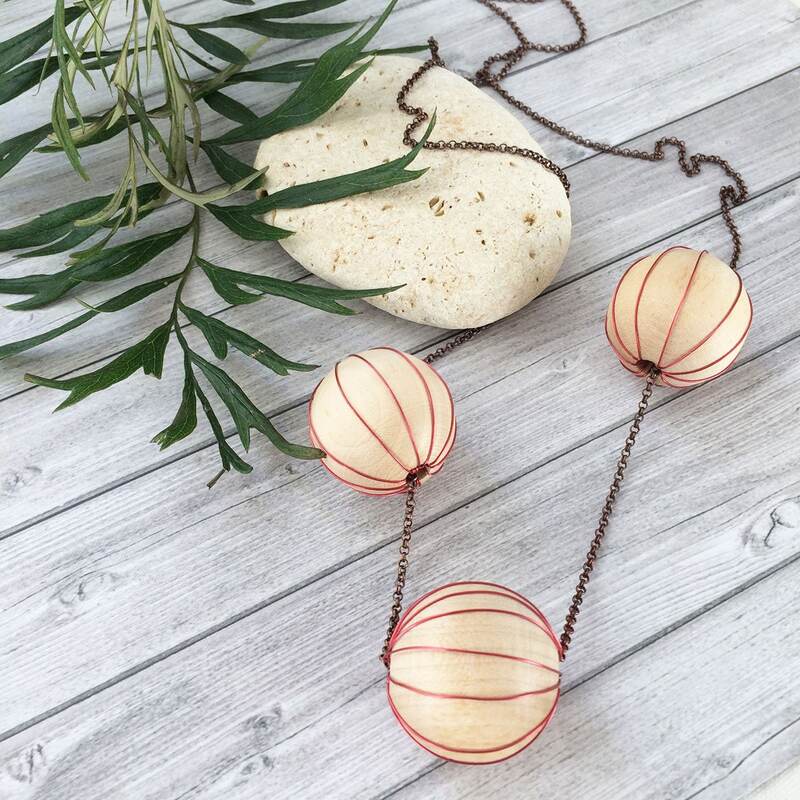 Long necklace without clasp, simple to put on. 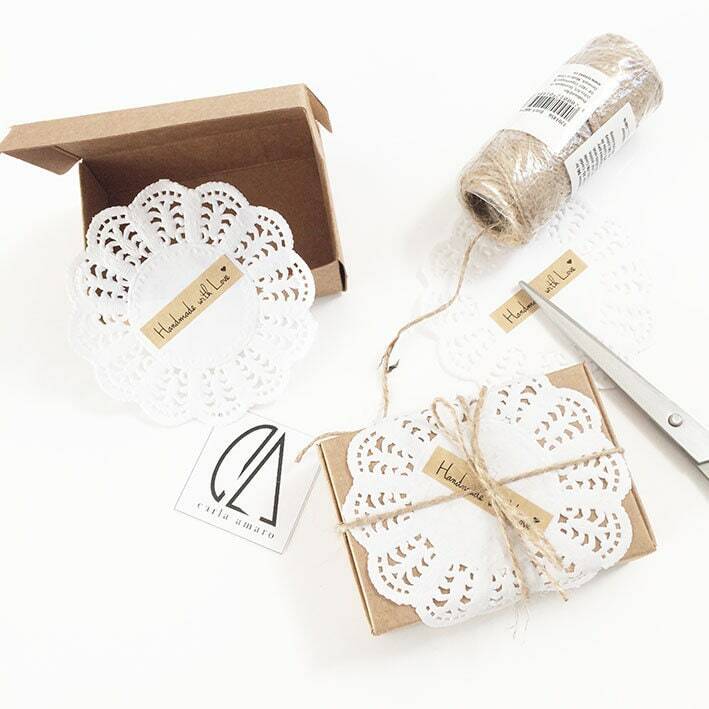 To use on a daily basis, to give life to the pieces of clothes simple and fluid. 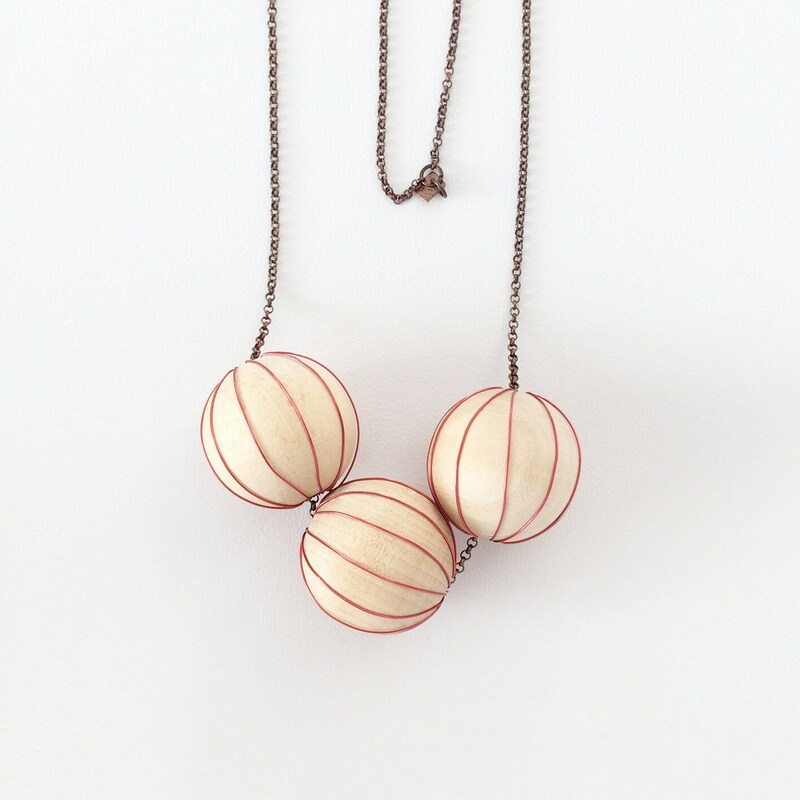 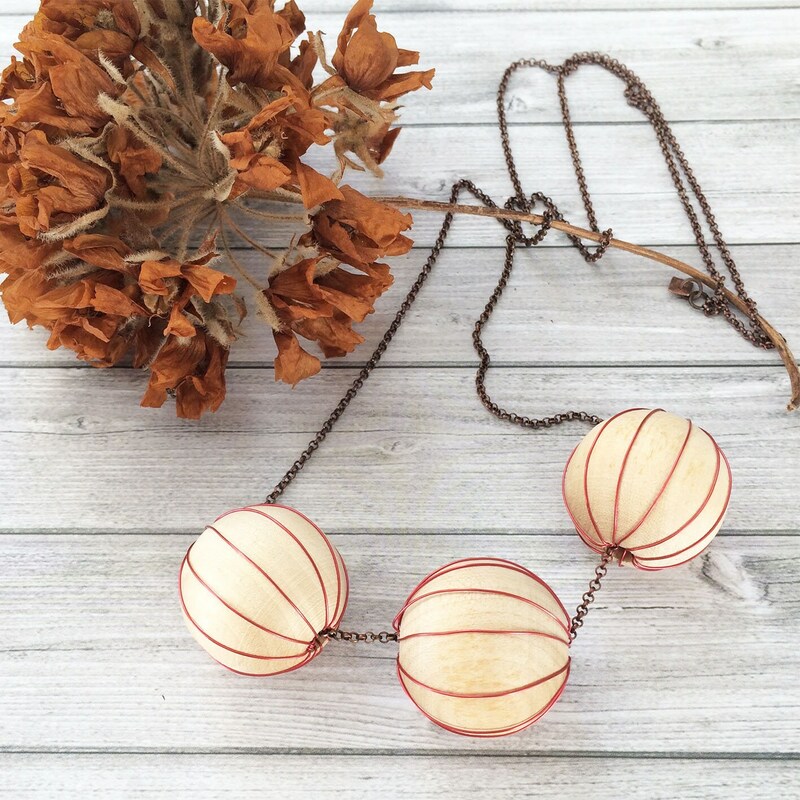 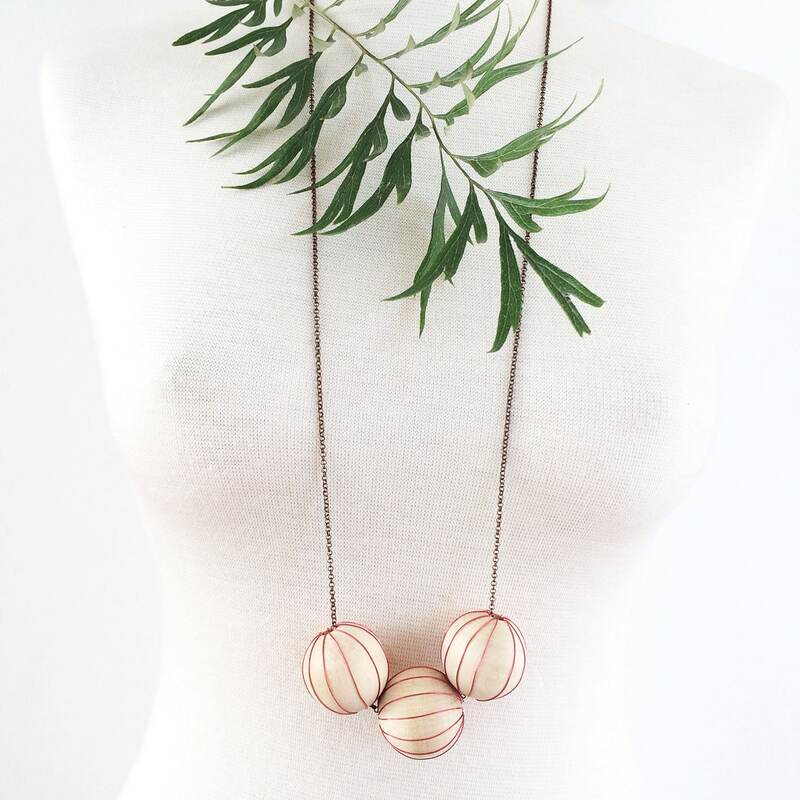 Materials: wooden balls, copper wire and copper chain. 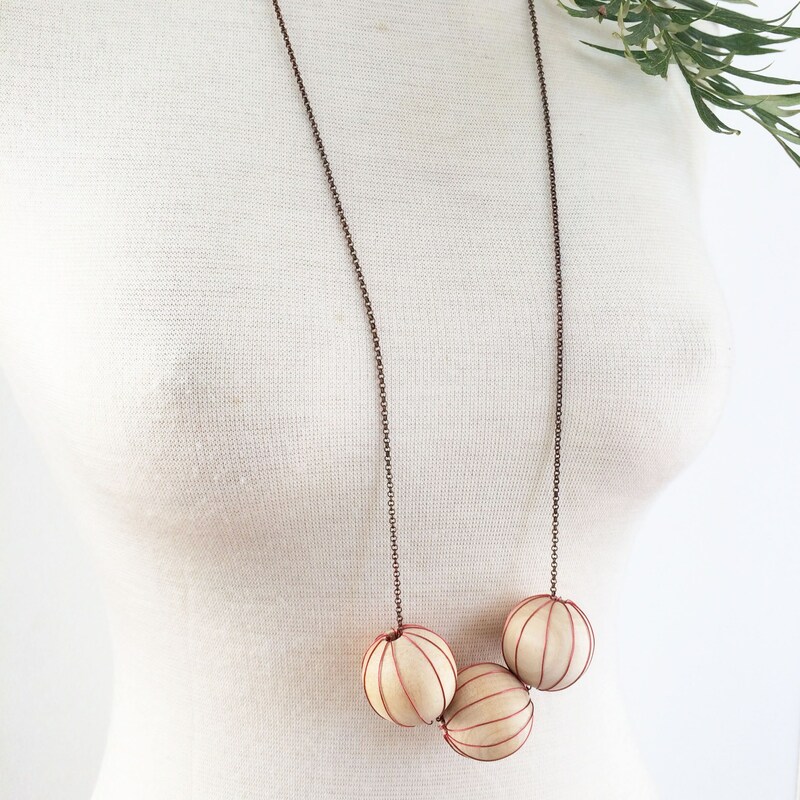 Color: Natural wood, red and copper.